If you are looking for a lovely family dog, there are many breeds on the market. The Siberian husky, the Bull terrier, the Fox terrier, the Cocker spaniel, the French bulldog, the Shih Tzu, the Bernese mountain dog, and the myriad retriever breeds are all great candidates. However, have you ever considered Goldadors? Goldador puppies are a loving, friendly, and interesting crossbreed of our favorite Labrador and another well-loved breed: the Golden Retriever. They are a guaranteed goofball that will be a gift to your home for years to come. If you’re interested in learning more about Golden Retriever Labrador mixes, look no further. In this article, we will take a look at these lovable animals and answer all of your questions. Read on to find out more about whether these designer dogs are the right choice for you and your family. A Goldador is a mix of a Golden Retriever and a Labrador Retriever. These are two of the most popular dog breeds in the country. Both the Golden and the Labrador emerged in the 19th century as hunting dogs. The Labrador breed began in Canada but eventually moved to the U.K. The Golden comes out of Scotland. Both dogs were a response to changing hunting technologies. Before Retrievers came about, hunters were using Spaniels to join them on their hunts. As long-range guns improved and waterfowl could be shot at a distance, the need for an athletic dog that instinctively loved to retrieve became clear. The result was the Retriever. There are technically six types of this dog, but the Golden and the Labrador are the two most common. These dogs all love humans, retrieving, and swimming. They have thick double-layered coats that help keep them warm after diving into a lake for a bird. They are also obedient and easy to train. HOW IS A GOLDADOR DIFFERENT FROM A LABRADOR? These designer dogs try to take the best of the Golden and the Lab. It is a logical mix, as both dogs have very similar personalities. However, as a hybrid, it is not its own breed and it typically leans more toward one parent or the other. As a result, your Goldador can either be very similar to a Labrador or it can be very different. If the dog is Golden-dominant, you might find that its personality is somewhat tamer than a traditional Labrador. While Goldens are highly active dogs, they can also be lazy. As long as they get enough exercise they are happy to relax around the home. Their calm demeanor is something that many people find attractive. Labradors, on the other hand, are more hyperactive than Goldens. They always want to play, and this can be overwhelming to some owners. They carry their puppy energy with them throughout their long lives, making them a fun companion for many years. Another difference that you might notice if your dog is more Golden-dominant is its appearance. Goldador puppies and adults can vary greatly in appearance, but they tend to look more like the dominant breed. As a result, a Golden-heavy dog might have longer hair in a golden color. Regardless, your dog will shed copiously, and you should brush it 3–4 times a week. No matter which way these mixed-breed dogs lean, you can expect it to be fun-loving, goofy, and playful. These two dog types blend together to form a happy and lovable dog. You can expect it to live 10–14 years and weigh 65–80 pounds. SHOULD I BUY A GOLDADOR? If you are thinking about Goldador mixed-breed dogs, you’ve made a good choice as any dog lover will adore them. These dogs will be a good fit for almost any family as long as they get enough exercise and love. They are good for children, singles, and even the elderly. They are somewhat expensive, though, and you can expect the dog to cost as much as $1,500. Goldadors will need a good amount of exercise. As hunting dogs, they were bred to be outside all day, chasing birds and swimming through lakes. Your Labrador-Golden Retriever mix has an instinctive love of water and it will love spending the day at the beach. You should plan to spend at least 45 minutes a day exercising your mixed-breed dog. This can come in a few forms. You can either walk the dog twice a day or take it for a long walk in the morning or evening. You can also take them running or hiking. They have high stamina so don’t be afraid to take them out for a long time. These dogs can handle longer hiking treks and runs. As puppies and young adults, they will have plenty of energy and you will likely want to tire them out. One of the best ways to do this is to play fetch. This is their favorite game because they get to retrieve something for you! If you live near a body of water you can toss a stick or tennis ball far out and they will gladly go get it. Be careful, though, as they might swim out a little too far for comfort if there are birds around. If you don’t give your dog enough exercise, they will become destructive. Labradors are especially notorious for their rebellious demeanor and they will knock over trash cans, steal food off the counter, and even dig holes under a backyard fence if you are not careful. Training a Goldador might be the only somewhat difficult thing about them. And, even then, it won’t be as hard as other dogs! The reason for the difficulty is the fact that Goldens and Labradors learn very differently. Because of this, you will have to wait to figure out which way the dog leans before you can find the most effective training routine. 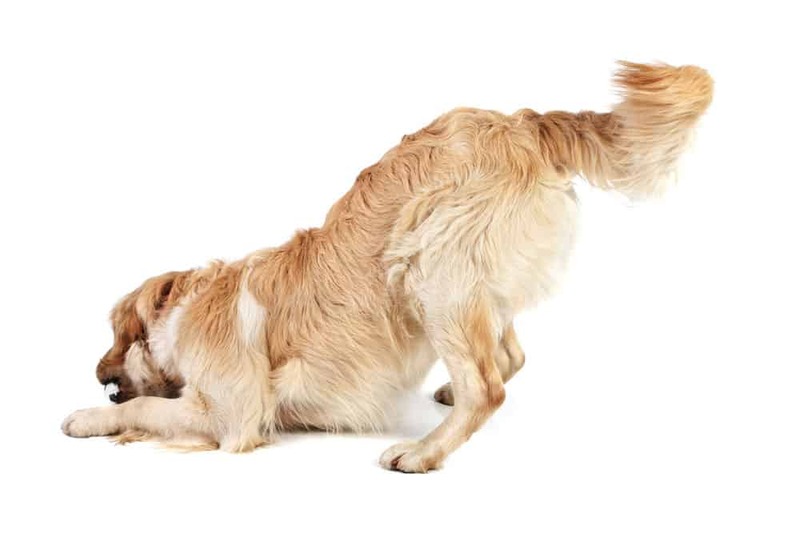 If your dog leans Golden, you will have an easy time training it. These dogs learn well through repetition and are fast learners. They will keep working on a task until they master it. They can become obsessive, though, and you need to make sure that you don’t overwork them. Labradors are a little trickier, largely because of their intelligence. They get bored with repetition, so long training sessions are not the best way for them to learn. Instead, you should plan a few short 15-20 minute sessions throughout the day. 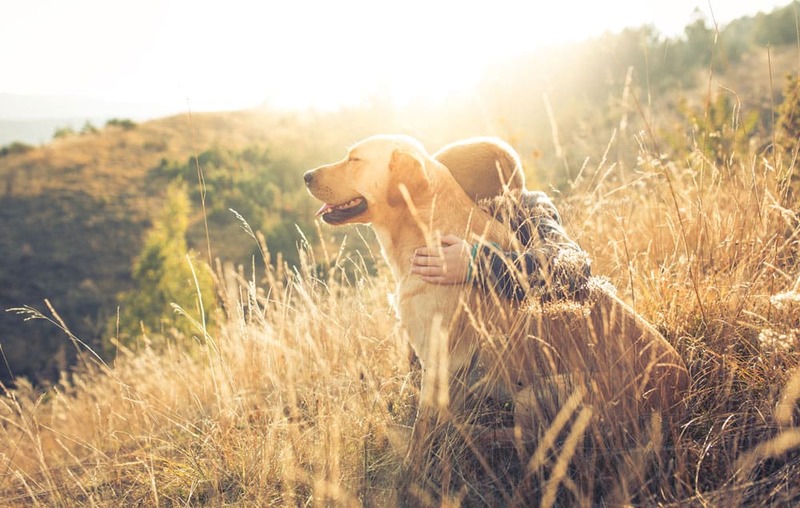 Both the Lab and the Golden respond best to positive reinforcement. As such, they need plenty of kind words, cuddles, and treats to help them learn. Labradors, however, are particularly food-motivated dogs. If you can tie their training sessions to their meals, you will likely have more success. The Golden Retriever Labrador mix is an amazing pet. It will become an integral part of your family quickly, and be a best friend for many years to come. Super cute! Labrador and Golden Retriever are my favourite breeds and a mixture of both just sounds perfect to me! Thank you for sharing this article! Thundershirt Reviews [2019 Edition]: Complete Guide, Top Picks, & More! Labrador Behavior Problems – What Are They Really?